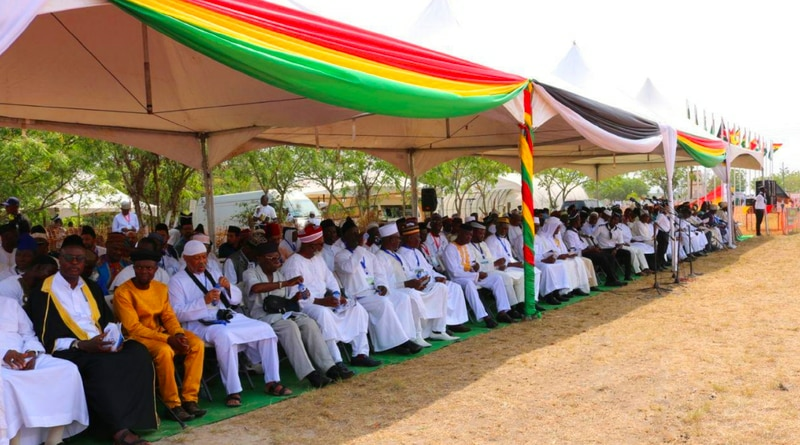 From 3 to 6 Janaury 2019, more than 38,000 Ahmadi Muslims from all parts of Ghana and other countries converged at Bagh-e-Ahmad (Garden of Ahmad), Gomoa Pomadze near Winneba in the Central Region, to participate in the 87th Jalsa Salana of the Ahmadiyya Muslim Jamaat in Ghana. The Jalsa was attended by the Amirs of Uganda, Kenya and Trinidad and Tobago, as well as over 70 delegates from 18 countries. Apart from the Vice President of the Republic, Alhaji Dr Mahamudu Bawumia, who was the special guest, President of Central Regional House of Chiefs and Omanhene of Gomoa Ajumako Traditional Council, Obrempong Yanful Krampah XI, also attended the convention as the guest of honour. 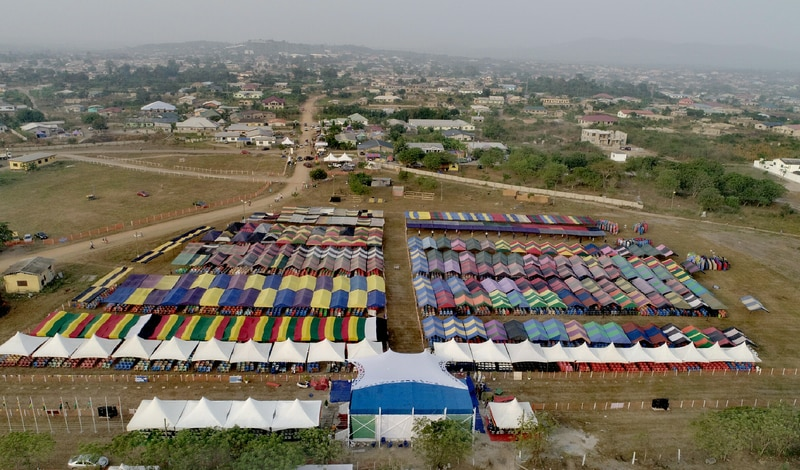 In his closing address, Mohammed bin Salih, Amir and Missionary In-charge of the Ahmadiyya Muslim Mission in Ghana expressed immense gratitude to Allah for His infinite grace and favours that culminated in the success of the Jalsa. In a message sent to the Jalsa, Hazrat Mirza Masroor Ahmad, Khalifatul Masih Vaa reminded Ahmadi Muslims to adhere to the principles of piety and righteousness as a means of attaining a higher status in the sight of Allah.